While not the typical fare here at Theo & Harris, this Carrera represented far too remarkable of an opportunity to pass up. An early reference 2447D, this example features not only its correct “polygon back” but its original, unsigned crown. These fine details, while easy to miss, make this example a true original. 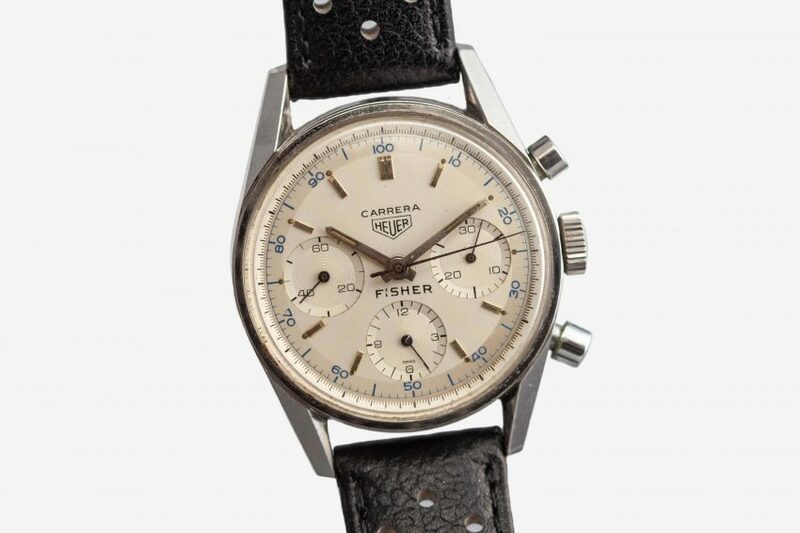 And on top, its cream dial is co-signed Fisher from its original issue to the science laboratory that placed special orders for some of these classic Heuers. And finally, it comes complete with its original racing strap and buckle. It doesn’t get much better, geeks.